Ever since the first Atelier title from Gust was released in the West back in 2005, every year has seen the release of a new title in the series. Over the course of this time we’ve seen various trilogies end and numerous ideas be attempted only to be replaced or refined in subsequent releases. Now with Atelier Escha & Logy introducing a two lead-character system, Atelier Shallie: Alchemists of the Dusk Sea takes the same route with a number of new additions, including the removal of a notable system that defined the series. Are these changes for the best in what appears to be the final game in the Dusk trilogy? 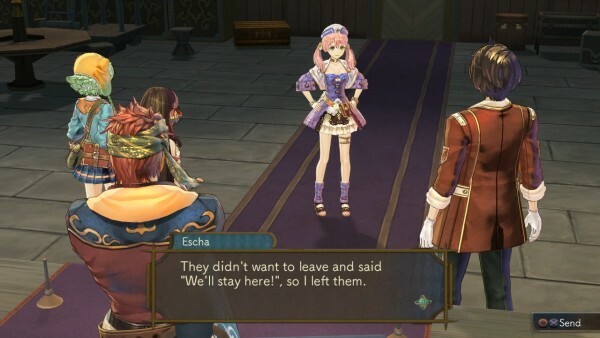 Roughly six years after the events in Atelier Escha & Logy, the world has continued to suffer from desertification to the point that many areas are soon to be inhospitable. With the land becoming destitute, a girl named Shallistera, the heir of her clan, sets out on a journey in order to try and find a way to restore the land and prevent her tribe’s water from drying up. At the same time, a spunky city girl named Shallote is trying to find her place in the world and a goal she should strive for. With both girls nicknamed Shallie, and calling each other Lotte and Stera, it is up to players to decide which of the two characters they wish to be the main character of their game. 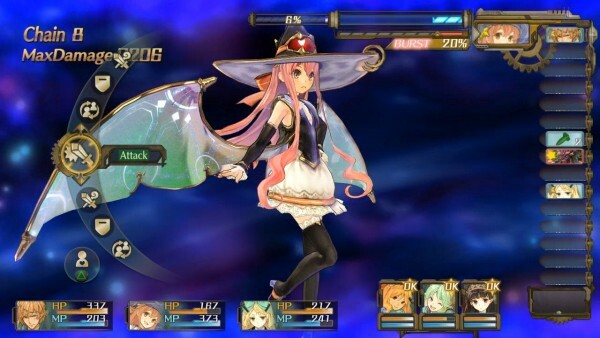 It is worth noting that while a number of aspects and various events in each heroines’ storylines are unique, which means the game is ripe for a second playthrough to see the story from a different viewpoint and experience new events, that a large amount of events take place when both Lotte and Stera are present. Interestingly enough, it is also worth mentioning that Shallistera’s storyline is a bit friendlier for newcomers to the story as well as some mechanics while Shallotte’s events feature numerous references to past events in the series. That being said, the story still remains rather strong here thanks to a likable core cast and well developed main characters. That being said, there is a certain lack of urgency now that the time limit has been removed entirely from the game and despite seeming like the final game in the Dusk saga, a number of answers regarding the situation of the world and the causes are either handled poorly or simply are left hanging which is disappointing, unless of course we are looking at the first set of Atelier games to move beyond a trilogy. 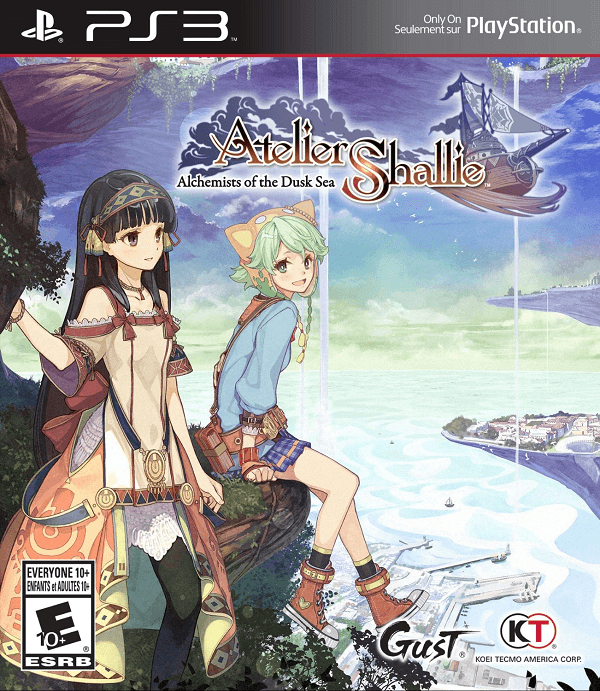 Atelier Shallie: Alchemists of the Dusk Sea is fairly similar to its predecessor, especially in regards to the combat system and alchemy system which, both of which retain the same basic changes made in the last game only to be refined a bit more this time around. 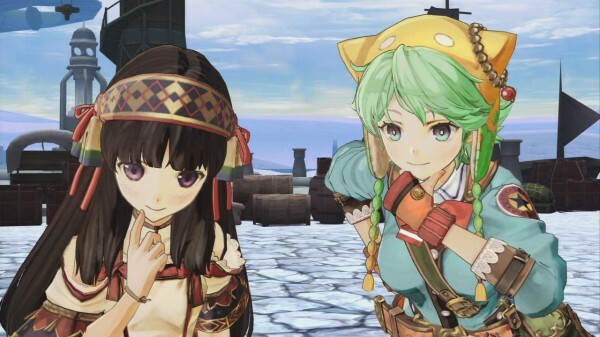 As usual with these Atelier titles, players will be spending most of their time gathering ingredients through gather points as well as a few new mechanics added into Atelier Shallie, fighting enemies to gain ingredients from them or to complete quests, and synthesizing items using all of the ingredients you’ve gathered and the recipes you’ve learned in your journey. 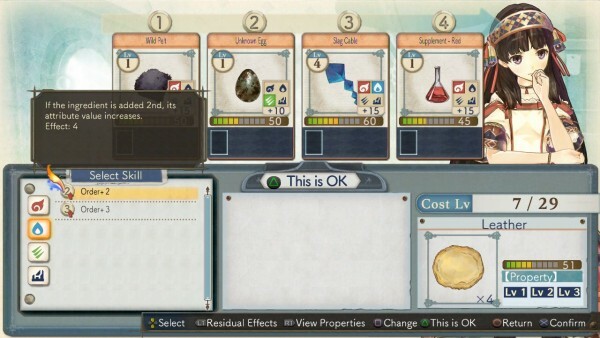 The alchemy system remains continues to be streamlined with many of the basic mechanics being very familiar to those who have played the titles before. Through the use of using high quality ingredients and aiming for special elemental values, players will be able to unlock special enhancements that will make them more effective while Shallie can also use various abilities she has unlocked to modify the outcome of the synthesis and give players more control than before while presenting it in an easy to understand manner. As far as the combat goes, the combat remains the same six player affair as before; with three combatants fighting at one time while the other three wait in reserve. Now unlike the past system, a number of enjoyable changes have been made to make combat flow faster and offer players more options. Rather than force players to resort to a single support meter, each back-up character will have their own meter that will fill up over the course of the battle and can be brought in either to defend an ally from an attack, add extra punishment by attacking after an ally, or switching into the fight making combat even better than it was before. Another new feature is the Burst mechanic. At the top of the combat screen a meter will fill up that will allow players to trigger a Field Burst when filled. 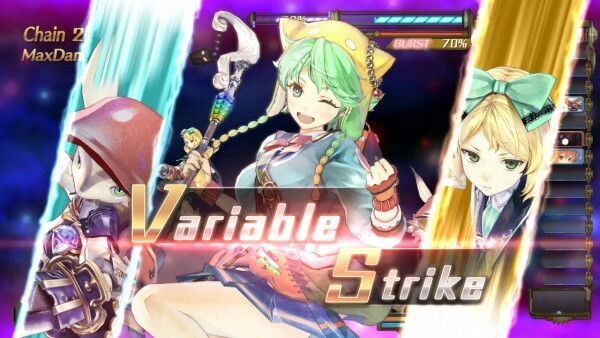 The Field Burst allows the player to select a certain member’s special ability to take effect during the fight and this can drastically change the way combat unfolds as these boosts range from auto-reviving from death, to recovering large amounts of health and MP, to buffing the party’s statuses and even triggering a large Variable Strike with a unique animation. Now earlier I mentioned that the time constraints that the series is known for had been removed and that is indeed the case. No longer will players have to worry about balancing their time properly while worrying about if they are taking too long of a journey in order to gather materials or face off against a boss. This does open the game up a bit for those who were concerned about the time constraints limiting their options but it also removes any sense of urgency or feeling of structure to the game’s storyline as players can gather ingredients and synthesize in a manner that would have sacrificed a two weeks’ worth of time in past titles. What replaces the time system is a far less restrictive “Life Task” system that will see the player taking on requests (including side-character expanding quests) and accomplishing various goals in order to progress to the next chapter in the story. These goals can be anything from synthesizing a certain number of items, to cleaning up garbage or harvesting items, to slaying a boss enemy in a dungeon. Many of these tasks reward the player handsomely, so much in fact that overdoing these tasks can lead to the player being a bit overpowered which leads to some disappointing fight sequences until the enemies catch up to the player. I can easily say that Gust has made some remarkable improvements to their 3D character models with the release of Atelier Shallie. While Escha & Logy featured some impressive looking character designs, the detail put into the characters found in this title are presented superbly with a wide range of emotions on display. There is also something to be said about the return of a somewhat brighter color palette used in the character designs as well as the way they have handled a certain returning character’s growth over the course of the trilogy. This release comes with both the original Japanese voice track as well as the newly recorded English track and thankfully the English voice actors fit their roles perfectly, leaving it up to the player’s personal preference on which dub they’d prefer to listen to as both are handled impressively. The same can be said regarding the game’s soundtrack. You’ll be hard pressed finding a bad sounding piece of background music throughout the game. Whether it is calming exploration music, tunes to listen to while battling enemies, or providing atmosphere to important scene, every track feels like a perfect fit for the situation. 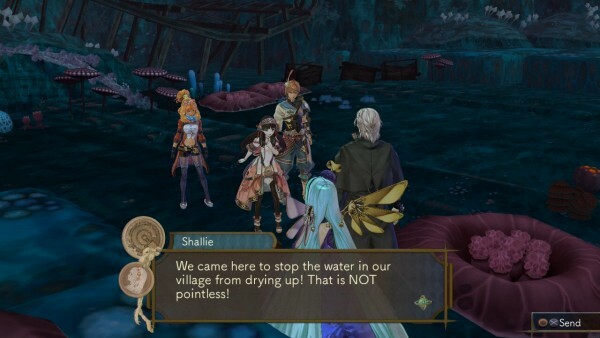 Atelier Shallie: Alchemists of the Dusk Sea is an enjoyable entry in the series with a great cast of characters contained in a weaker story than normal. It doesn’t help that there is a lack of urgency due to the removal of the time limit that fans have always planned around, making the title feel like it has lost some of its identity. That being said, the enhancements and improvements to the already fun combat and alchemy systems have make Atelier Shallie a solid entry in the series that is friendlier than ever to newcomers while still having enough familiar elements to entertain longtime fans.